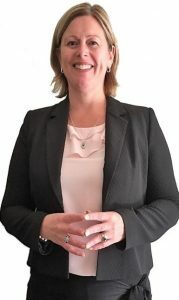 Tanya joined Synergy Global in 2019 as Team Leader – VIC (Regional). She started her career in Real Estate; then IT & Comms - working for a transport company. After IT, Tanya went on to work in one of the original Divisions of General Practice & was responsible for engaging with & computerising General Practices across a large SE Region of Melbourne. Achieving 97% compliance & leading the progression of digitising records, she’s spoken at many conferences on health informatics. She managed the accreditation program for the Division, implemented new privacy legislation, worked with Aged Care facilities to improve their access to GPs & piloted electronic comms between Specialists & GPs using encryption technologies. After 9yrs she was seconded to a health network, to ensure delivery of patient info between Hospitals & GPs to improve patient outcomes. Her diligence, passion & strong work ethic led to her appointment as Director of GP Liaison at Monash Health in 2008. Tanya managed the GP After Hours Clinics & established the staff clinic. During this time, she identified the need for, & wrote, a comprehensive Clinical Governance Framework for GP After Hours Clinics that was later adopted by the Department of Health. Tanya was the Clinical Development Manager, Jean Hailes Foundation for Women’s Health & implemented a new model of care in the treatment of Polycystic Ovary Syndrome. She introduced Telehealth & wrote the business case for advanced equipment to improve cervical abnormality detection. Tanya went on to operationalise a Registered Training Organisation (RTO) for Health Management Programs. After relocating to regional Gippsland with her family she was appointed GM Support Services at a large regional hospital managing ten busy areas & major capital projects. She obtained funding for infrastructure, leading change/ improvement initiatives. She increased the satisfaction results of the employee engagement survey & led the development of a comprehensive People & Culture Action Plan – creating a cohesive, supportive team (one of her proudest achievements). Tanya has been praised for her outstanding effectiveness & exceptional stakeholder engagement/ leadership skills. She’s a passionate mentor/ ethical leader; currently completing her Dip Workplace & Business Coaching for her ICF ACC. Whilst Tanya is a skilled business professional it was her commitment to values-based organisational culture & leadership that connected her with Heather-Jane Gray, Synergy Global’s Chief Executive, who asked her to take on this role. Tanya is a Certified member of the Australian Human Resources Institute (AHRI). She is a member of the Institute of Managers & Leaders (IML), & an Associate Fellow of the AUS College of Health Service Managers (AFCHSM). In 2019, she was invited to participate in the ACHSM Mentor program & now supports an emerging leader through this program. Tanya lives in Gippsland with her husband & ageing parents. She loves catching up with their five adolescent children & partners for noisy lunches & socialising with friends. She also enjoys history, antiques, champagne & bush walking.